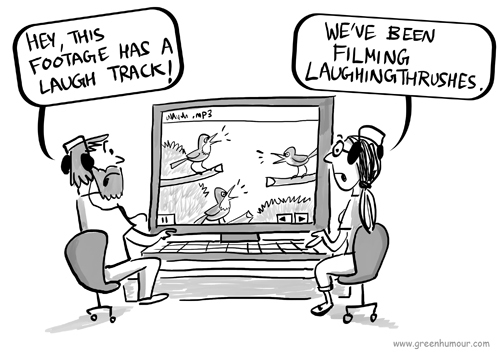 Dusty Foot Productions headed by the dynamic wildlife film-maker Rita Banerji came out with a manual on wildlife photography for students of its conservation film-making venture, Green Hub last year. 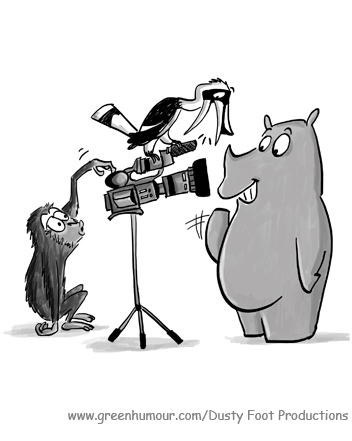 I wrote and drew some cartoons for the manual, on the technical aspects of wildlife photography, and also illustrated its cover (the image above, with the gibbon, hornbill and the rhino checking out a video camera). Thanks to Rita Banerji for commissioning me for these cartoons that I had a blast doing, and to Nina Subramani for designing the manual!